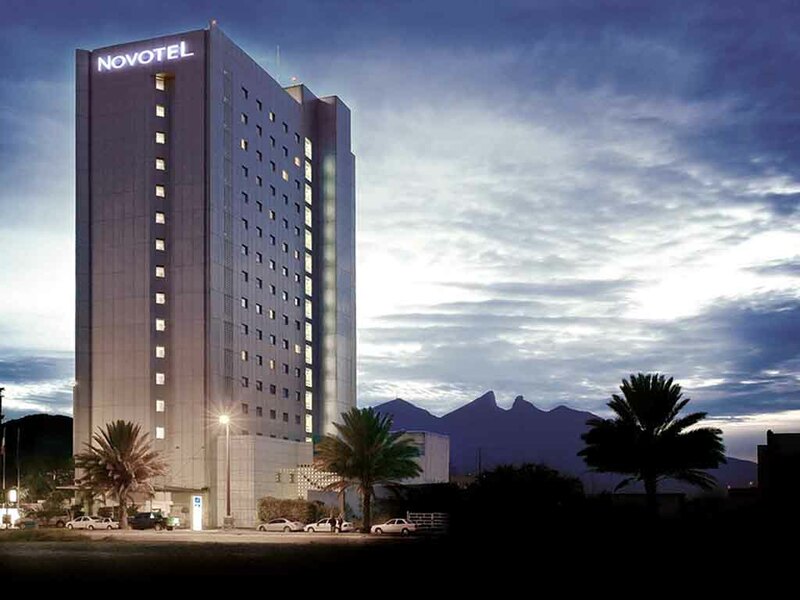 Whether you're traveling for business or leisure, get the most out of your stay at Novotel Monterrey Valle. At the heart of the financial district close to all kinds of leisure establishments, the hotel boasts eight bright meeting rooms and spacious bedro oms with tempting family offers. Just 10 minutes' drive from the historic center and fantastic golf and tennis facilities. End your day with a house beverage at the Novotel's Gourmet Bar. Enjoy the international and Mexican cuisine offered by Novotel at your leisure with meals available at our restaurant from 6 a.m. to 11 p.m. Choose something from our buffet, with healthy, balanced and traditional Mexican style options. With a pleasant atmosphere and wireless internet access available on request at reception, the bar seats 90 people in comfort and has large windows looking out on the swimming pool area. International and local drinks. International food and snacks.